This is a lightly used top end laptop for fast computing and gaming. Used for Stock Day Trading. The fast processor did the instant calculations for use with my software which provided me an edge over other traders. I used it with an external monitor and the GeForce 850m video card handled both extremely well. I do not day trade anymore and I only surf the internet and read emails and do not need a high power machine. Includes the optional 120 Watt power supply. Charges fast. Battery lasts a long time. It has it's own built in discrete Nvidia GTX 850m Video card. 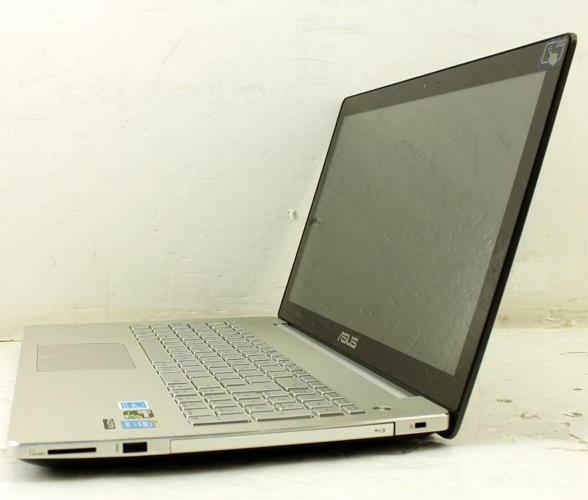 You won't find another laptop like this in Ottawa at this price. Intel i7-HQ Quad-core Processor with Hyperthreading to 8 cores. 8GB of high speed RAM for fast multitasking. 1 TB Hard disk drive for all of your storage needs. Nvidia GeForce GTX 850m (40% faster than the 840m) Dedicated video card with dedicated high speed memory chips for blazingly fast video rendering and high speed gaming. 15.6" High Definition TouchScreen for sharp imaging and colour rendition. Blu-Ray ROM / DVD DL burner. Long life Battery and Asus AC adapter charger. Backlit keyboard is a delight to type on. This laptop is gently used and is more computer than you will ever need ensuring that you will have this for many years to come. Windows 8.1 is installed as well as the latest updates from Asus. Free Windows 10 upgrade is available until June if you choose to upgrade. This laptop sold for over $ plus taxes 12 months ago. In perfect physical and working condition with no issues at all. This is a mint condition laptop that was lightly used and is not needed anymore. Comes in the original factory box with all of the still sealed documentation. The ASUS logo in the top cover even lights up. Call me at 613-226- to see try it out before you buy. No texting or trades please.